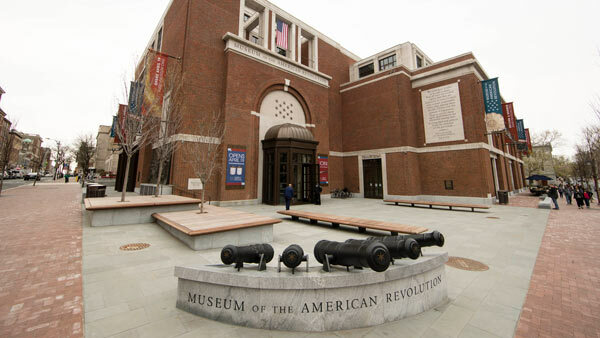 PHILADELPHIA (WPVI) -- The Museum of the American Revolution is joining the growing friendly rivalry between the two Super Bowl teams' cities. The Museum is temporarily renaming its first-floor Patriots Gallery to the "Eagles Gallery," in honor of the Philadelphia Eagles' upcoming Super Bowl against the New England Patriots. Anyone wearing Eagles gear will get $2 off admission through Feb. 4 (walk-up only). You know who else was an underdog? The Patriots....Eagles Gallery features the special exhibit Among His Troops which brings together works of art, weapons, and other artifacts from the Revolutionary War to explore the history surrounding a rare eyewitness painting of the Continental Army. The painting was discovered by the Museum's curators. It is free with regular admission and is on display through Feb. 19. 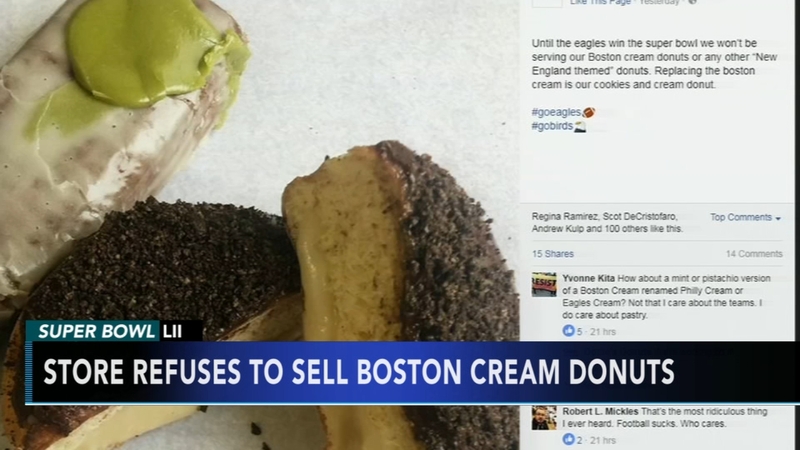 If you are in the mood for some Boston cream donuts, you won't find them at Dottie's Donuts in Southwest Philadelphia. The Museum will hang an "Eagles Gallery" sign Thursday above the entrance. It will remain there through Super Bowl Sunday.